When I was a young girl and something difficult happened, I would look to my mother for comfort and guidance. She was always there for me, helping me work through the issue or helping me gain perspective. No matter what, my mom had a positive outlook and she taught me to value the wonderful moments in life—and how to persevere in difficult times. At the time, I had no knowledge of the difficulties, hardships, and losses she had endured. Growing up during the Great Depression, my mom lost two sisters in their childhood, suffered from tuberculosis, and supported her youngest sister through a car accident that left her a paraplegic at age nineteen. To me, my mother defines resilience. She had such strong faith and was a very giving and positive person. Our house was like a central hub for family and friends; no one ever left hungry or without feeling a bit better than they did when they arrived. As a child, one thing my mother would often say to me was, “this too shall pass.” At first, I found this annoying. What I was dealing with seemed like the most important and difficult thing ever! How would it ever be okay again? How would it get better? As I matured, I realized she was right. Life moves on and we all have a choice to move forward or back. She always chose moving forward. My biggest personal challenge was losing my parents. My dad passed away two short years after my mother. They were so important to me and influential in all aspects of my life—from my belief that I could do anything I wanted professionally, to how to raise our children. They were my go-to people: the people I wanted to talk to no matter what had happened, what mistakes I made, or what joy I was feeling. Their absence was painful and more challenging than I had ever imagined. The dynamic at our holiday dinners was markedly different. For years, I hated Mother’s Day and Father’s Day. They weren’t a phone call away when I needed advice or wanted to share something special. It was a real sense of loss—something you can’t understand until you are living it. Thinking about my mom’s advice that “this too shall pass” gave me the strength to carry on and live life day-by-day, moment-by-moment. Like so many others who have faced the loss of family and friends, time does help mend our heavy hearts, but it is resilience that allows us to continue to move forward. “This too shall pass,” doesn’t mean that the problem, feelings or situation will magically disappear. Rather, it can lead to a very reflective thought process that helps you find inner strength to address the challenge at hand or simply continue to put one foot in front of the other. So as you face obstacles and challenges, as we all do, I hope my mother’s advice will help you choose to move forward, find solutions and make the best of what life has to offer. 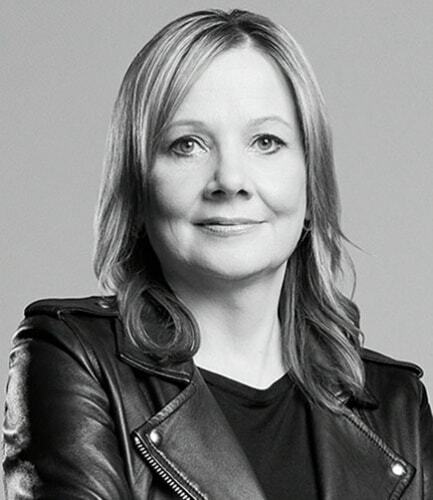 Under Mary’s leadership, GM is focused on strengthening its core business while working to lead the transformation of personal mobility through advanced technologies such as connectivity, electrification, autonomous driving and car sharing. Barra has established a strategic direction based on putting the customer at the center of everything the company does, all around the world. She was elected Chairman of the GM Board of Directors on January 4, 2016, and has served as CEO of GM since January 15, 2014. Stay in touch with Mary via Facebook, LinkedIn and Twitter.